Hello Frnds Today I want to share some tricks of Nimbuzz with you...Nimbuzz is one of the most popular mobile chat client.Most of the people who uses mobile internet might have used the app before. Here I am giving some awesome nimbuzz tricks to prank your friends. Some of the tricks only work in PC version of nimbuzz. 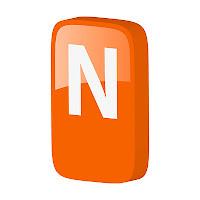 (1)How to give red color to your nimbuzz nick name?Use the following script to give color to your nimbuzz nick name. 2))How to flood the nimbuzz chat room with your message? Enter the name of the chat room which you want to flood with your message. Enter the chat message. It is working!!! (3)How to flood the error message in nimbuzz? Enter the following script to flood chat messages. (4)Make anyone as a moderator in Nimbuzz chat room. Enter the following script to make anyone as a moderator.